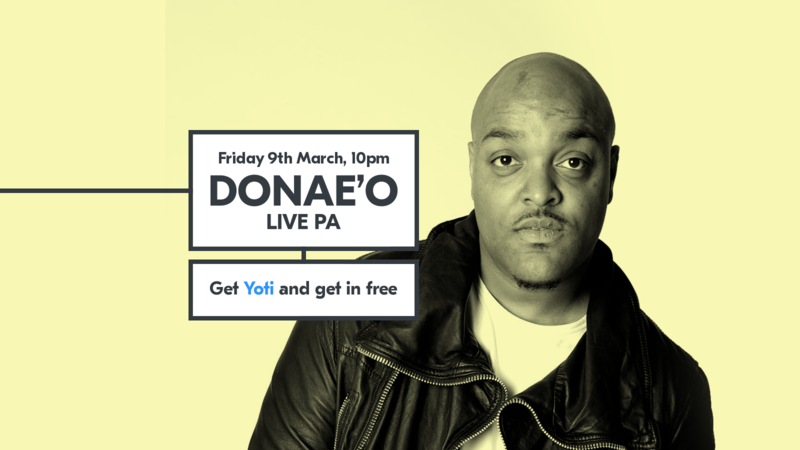 On Friday 9 March, Yoti and Halo Bournemouth present UK Garage and Funky veteran Donae’o. Your ticket to the event is free when you claim one using Yoti. Your Yoti also gets you into the venue and served at the bar – with Halo and plenty of other Bournemouth venues now accepting Yoti as a valid form of ID. There’s no need to scan your passport or driving licence on the door, meaning there’s one less thing to lose on your night out. Creating your Yoti shouldn’t take longer than five minutes. Once your details have been verified, just go to the event page to claim your ticket. Your ticket will be emailed to the email address you added to your Yoti, and that’s it – you’re all set. If you have any questions, please email gig@yoti.com.